Are you concerned about the future of long-term care in Grenfell? 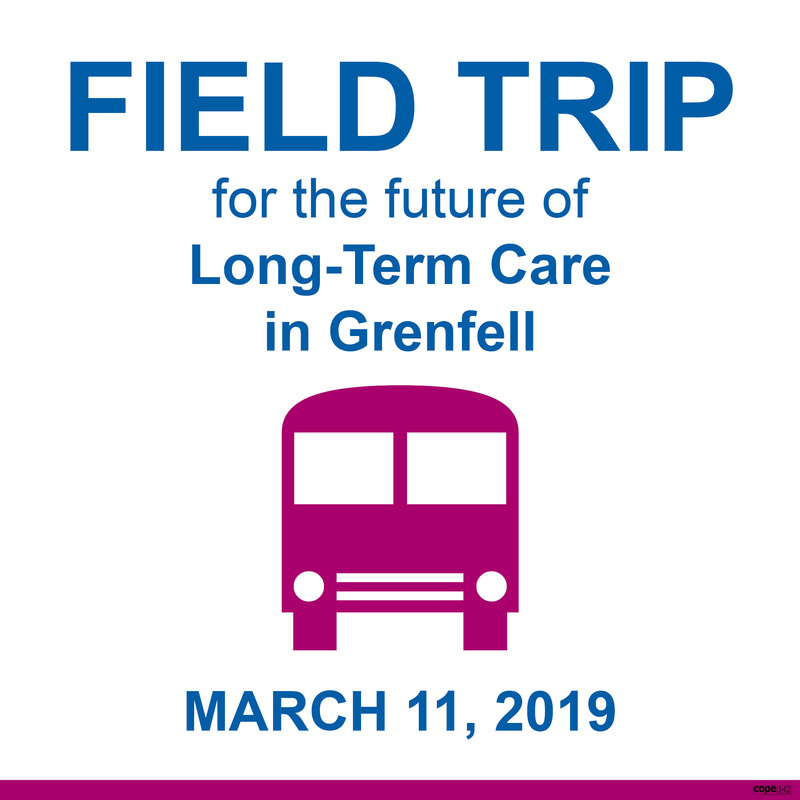 Grenfell and area residents are invited to join CUPE health care workers on March 11, 2019 for a field trip to the Legislature. 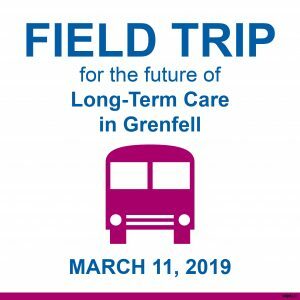 Speak up for long-term care in Grenfell and get on the bus! Participants will attend the formal legislative question period where the official opposition will ask the government questions about long-term care in Grenfell. In addition, participants will meet with the official opposition and hopefully attend a meeting with government representatives. Buses will leave Broadview, Grenfell and Wolseley on the morning of March 11, 2019, at approximately 10 a.m., and return in the afternoon around 4:00 p.m. Lunch will be provided. Event hosted by CUPE Local 5430. CUPE is the largest health care union in the province, representing over 13,600 health care providers in hospitals, long-term care, home care, community rehabilitation services and mental health services. View the event poster for more details by clicking here.